Thaumic Machina is an addon for Thaumcraft 4 which seeks to do one thing, expand Thaumcraft in a more mechanical and theoeretical light. To do this, my addon does alter the lore of Thaumcraft and Thaumaturgy as a whole to make the whole "backstory" make more sense relative to my addon, however it does so in a way that does not press onto Thaumcraft or any of it's other addons. NOTE: This addon is currently WIP, only a few things I have functional, one of the main things within the mod, Wand Augmentation, is for the most part functional. There will be small changes in Wand Augmentation as I update the mod, namely a new wand instability mechanic. Just keep this in mind. Thaumic Machina introduces new "mechanics" to the research minigame and overall mechanic that Azanor has developed and perfected over the various Thaumcraft releases. Thaumcraft 2 had a fairly linear research mechanic, you use a block which has random chance to complete your researches and also find them for you. Thaumcraft 3 set the normal for Thaumcraft research currently by introducing a whole new mechanic to research that directly involves the player. Thaumcraft 4 raised the bar by introducing a minigame which can not be completed the same way every time, like how Thaumcraft 3's research could, but not be completely random and linear like Thaumcraft 2's. 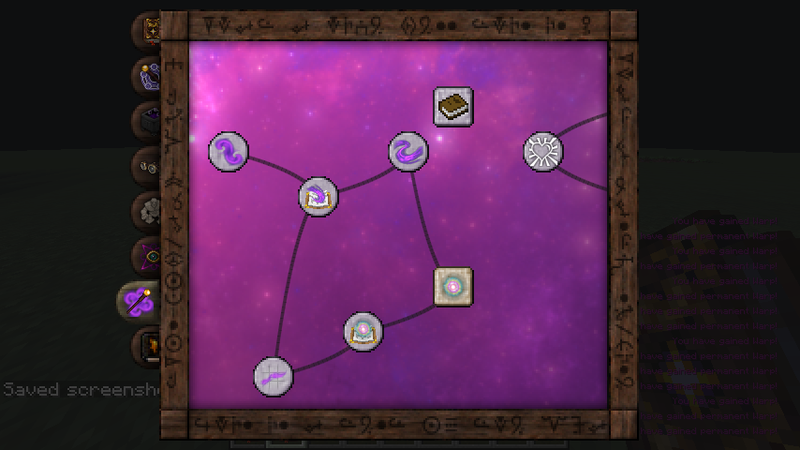 I personally feel that the research minigame and overall mechanic in Thaumcraft 4 is not really meant to have the items be the "points of research", that is, the items being what you're actually researching for and the items being the main thing the research nodes are centred around. Thaumic Machina introduces a new mechanic for researching, known as Concept research. A Concept is just like normal research, but instead of having the items being the "points of research", it is how the actual items work, the theories that go into the item's function(s), that are. Instead of researching for say Wand Augmentations, you must first research into the concepts and theories that allow Wand Augmentations to function. The downside to this is, some people may feel that researching in Thaumic Machina is quite useless, as you don't get anything back. My view is you do, you get the ability to continue along the tree as your reward for completing the research, but I do recognise that others may disagree, and as such, the exact mechanic behind Concept's is configurable. Don't want to spend time having to complete the minigame like normal? Set Concept's to be secondary purchaseable research. Don't want to spend the time AND aspects on the minigame? Don't worry, set the research to auto-unlock. A: Sure! Send me a PM as to what you want to help with, and depending on what, you may or may not be able to help in development. Q: I have a suggestion for a feature. 1. No traditional magic-y suggestions like spells, light vs dark and whatnot. This addon isn't really meant to be a traditional magic-y Thaumic addon, it's more so meant to be a theoretical and mechanical-y take on Thaumcraft. I personally view tech mods in a way, when a tech mod gets so advanced, what is implemented is rendered in the lore as so advanced it can be classed as "magic", this is personally what I view Thaumcraft to be, and am trying to expand that. 2. No things like "use the dark long enough, and you can harness it". Forbidden Magic to me is that sort of mod, Thaumic Machina is not. And I'll add more as time passes. You can contact me on this thread, or through PM. If you want to talk to me directly, I'm usually always on Espernet during AEST-reasonable hours, irc.esper.net, channel #thaumicmachina. Thaumic Machina 0.2.1 is compatible with Thaumcraft 4.2.2.X, and also should be compatible with previous versions. This mod (modification, module, plugin, henceforth "Mod" or "the Mod") is property of jcm2606 (henceforth known as "Owner" or "the Owner") under the terms found at http://minecraft.net/terms. It may only be posted on the Minecraftforums by the Owner, it may be reposted or mirrored with explicit credit given to the Owner. This Mod may be used in mod packs (compilations) where explicit credit is given to the Owner where due. This Mod cannot be used to generate profit or any other form of revenue without explicit written permission from the Owner. Generating revenue from the Mod without explicit written permission from the Owner breaches the license. TL;DR: You may use this mod in mod packs IF you give credit to me, I don't care what pack you are or what other mods you run with, as long as you give me credit for my work, you are allowed to redestribute my mod under your mod pack. If you wish to generate revenue off my work, you require permission from me to do so within the terms of this license. This mod is not currently open source. 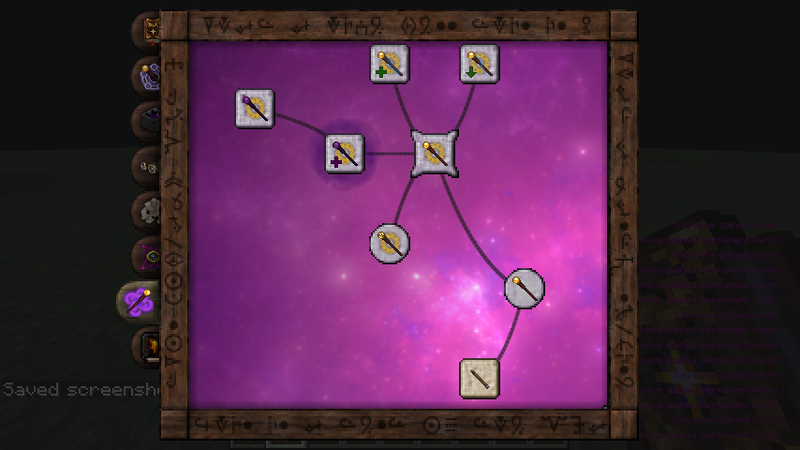 In all seriousness though, I am getting there, I can probably post some pics of the research tree and what I've currently got working with wands, but yeah. It's getting there, once I get the final ASM stuffs in for the wand augmentations, I should be good to release an "open beta" of sorts. Aaaand we have first public release! Hazzah! I have some pretty interesting stuff planned for Thaumic Machina, so it's gonna get better. Wow, just wow... this just looks purely amazing. Keep up the good work. Ohh plenty more planned, so little to do, so much time.... wait, scratch that, so much to do, so little time. Any hints to what you're implementing next? Actually implementing next? No clue, maybe start working on some of the other research trees, get them in first. What I have planned? Tonnes. Plan to expand the whole addon way past what it is currently, and expand vanilla Thaumcraft in many different ways, one of the ways is a new "dimension" that exists within other dimensions, that can only be viewed when you know about it and when you're wearing / holding the correct item(s) (actually already done some work on this). I also want to expand what Azanor currently has set up for the Crimson Cult, by making them out to be a group who knew a lot about the fundamental concepts of the universe, but couldn't tie them together to allow them to actually use their discoveries (ie, they didn't know about Thaumaturgy, which is the key to uniting all the fundamental concepts). One of the ideas I have is to expand the tech behind Thaumcraft in a way that renders the wands as merely incomplete technology, to tease, if you have enough augmentations installed onto a wand, you can install one final augmentation which basically removes the wands ability to channel the Vis stored within the core up through the core and out through the capping, but allows the core to absorb and hold a much more potent and concentrated form of Vis. 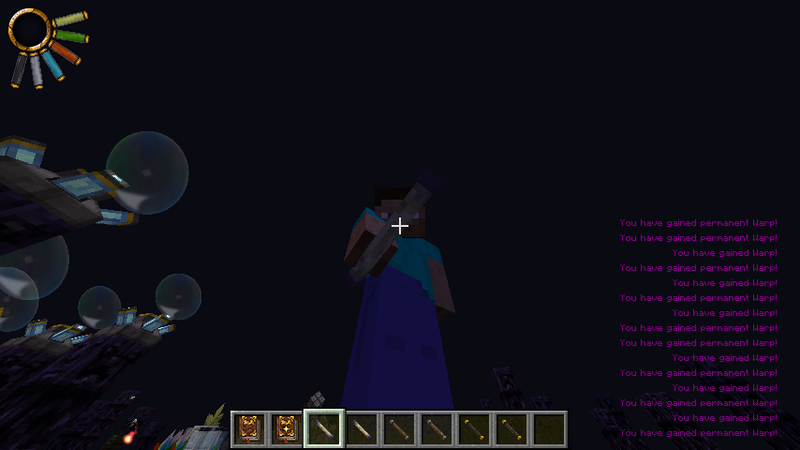 The wand can only be charged by using a special device called an Arcane Pillar (which is gonna be like a modular machine, you can use the same thing for multiple purposes, one use I have is being able to hook the Pillar up to a Vis Network and being able to charge wands, staves and sceptors using CV, removing the need of the Arcane Workbench), which in itself needs at least one node nearby to actually supply enough Vis to charge the wand. I also plan on adding the ability for the player to be able to "augment" nodes, for example, you will be able to modify nodes to allow them to recharge faster, or produce 2 points of Vis instead of 1 point. Wow, that already sounds amazing. I've been told by several people I come up with great ideas. Can you explain the wand augmentation? I just tried this mod and I find it AMAZING !!! The idea is fantastic and the textures are great. Keep going! EDIT: Disregard this, editor derped. Thank HuggableCreep for the textures, I couldn't do any of the myself. Okay, so basically Wand Augmentation is a mechanic which allows you to upgrade any wand, staff or sceptor, whether it be from vanilla Thaumcraft or any addons. The process for Wand Augmentation is done through infusion, and is very very unstable (for good reason, once you see the upgrades you'll see why). Wand Augmentation requires some components and essentia, and then each specific augmentation adds onto those components and essentia.Ffrom memory all augmentations require a Primal Charm, a piece of Salis Mundus and a Wand Augmentation Core. I currently have the base essentia set to 16 Instrumentum (Tool) and 24 Praecantatio (Magic), however I may have these scale up or down depending on how powerful an augmentation is. Of course augmentations add onto this essentia list, and usually the augmentation-specific essentia count is quite high, 48 is the highest so far from memory. I will be adding a mechanic to Wand Augmentation, basically the more augmentations you have installed, the more unstable your wand core becomes. Now this isn't something like infusion crafting, in the lore I'll be describing it in such a way that basically the more you augment a wand, the more stress is placed on the core of the wand, and thus the more likely that wand is to "break". The effects I have range from simple Vis discharging (that is the Vis will decrease and empty out at random times, only by 1 though), Vis bounceback (when channeling Vis through the wand sometimes the Vis can bounce back from the capping and reenter the wand core, where the core becomes incredibly Charged (another piece of my mod's lore) and can harm the user), and if it gets so bad the wand may no longer hold more than 10% of it's top capacity of Vis. 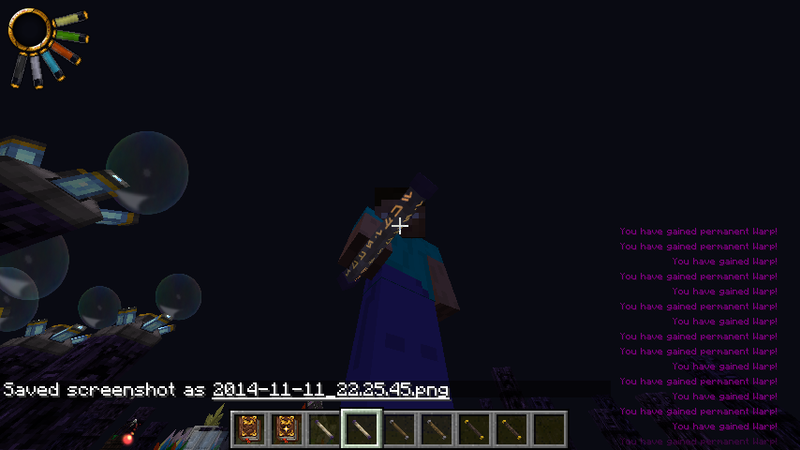 Can we MLG PRO NO SCOPE *AIRHORN* with our new wands? This has been puzzling many for centuries.